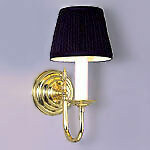 Like our MODEL NS101 but shown in Polished Brass and with other custom options like a different finial and candle cups. Subtle differences can change the feel of a fixture drastically. It can be made in any other metal color. 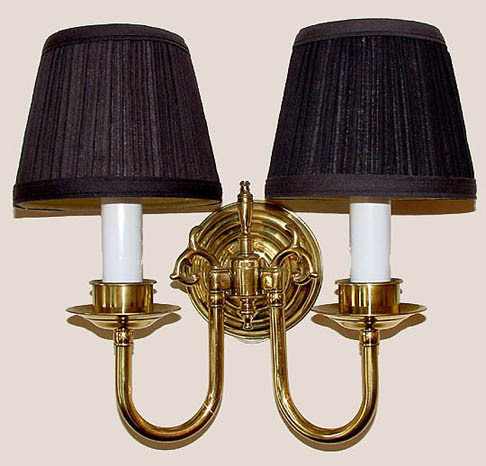 Solid brass construction and a lovely black mushroom pleat fabric shade. Our shades clip on to the bulbs for easy installation and cleaning. Width 13 In. / Projection 9 In. / Depth 13 In.